Sunday, 26th November, is the date of the 2017 edition of the international classic road race, the 34th Florence Marathon. Florence Marathon is certainly the main event of road racing in Tuscany, it’s the second Italian marathon (after Rome’s), and among the 20 most important marathons in the world. The route takes you by all those landmarks of singular beauty that have made Florence famous worldwide: views over the enchanting hills and countryside, and passing right by the Cathedral Square, Piazza della Signoria, Ponte Vecchio (to mention only just a few of historical importance), before entering the majestic Piazza Duomo. The road is entirely asphalted and ramp-free, except for the short, slightly sloping stretch of road at the start, and these characteristics make it a particularly fast route appreciated by runners. 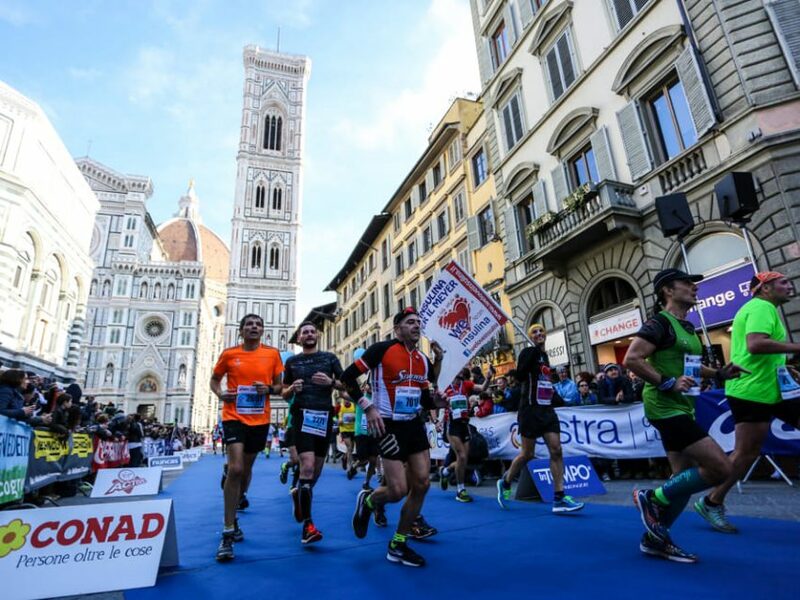 Florence Marathon is part of the international marathons’ calendar, and is certified by AIMS and recognised by the IAAF.